How important is your international social media presence? Is it necessary for companies to be present on all social media platforms? Should you translate your content into foreign languages? What do you need to consider for your social media marketing campaign when going abroad? You are most probably aware of the importance of social media but did you know that as many as 91% of people have gone into a store because of an online experience? Or that 89% of consumers conduct their research using search engines? And according to Forbes, 78% of consumers say that the posts made by companies on social media influence their purchases. The number of social media users is ever growing. In October Facebook passed 1.19 bn monthly users, while LinkedIn got up to 259 mil people and Twitter said it has around 232 million active users. 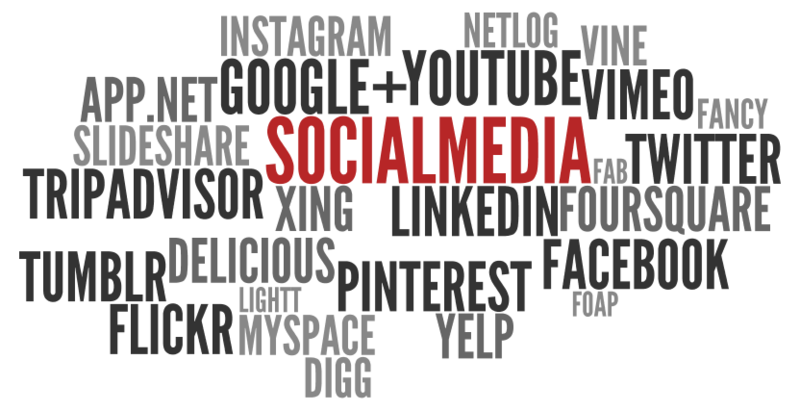 According to Social Media Examiner the biggest advantages of social media marketing can be seen in increased exposure and traffic, leads creation, sales improvement and reduced marketing expenses among others. This makes it an essential part of most marketing campaigns, home and abroad. As far as the development of your online presence is concerned, it is essential to choose the right social media depending on your line of business and the target country. When it comes to translating your content, the difficulty may come when maintaining the content and generating conversations in your social media. Updating your content requires time and human resources. But the investments do pay off. In the UK Twitter is where the information flow flies. It’s as a place where its users can obtain the latest news and react to it. It is the most suitable medium to engage with customers quickly and efficiently. A Facebook profile could serve as a more human part of your brand. It offers the possibility to connect to those who like your company, to get to know them better as well as being able to talk to them. If you are a B2B company LinkedIn is arguably the most important social media. It shows your professionalism and business opportunities. It is aimed at business to business relations. Your LinkedIn activity can highlight your brand, your development and progress, and your human capital as no other social media platform has the ability to do. When looking at overseas markets, you should also consider local social media platforms if you want to make the right impact. For example in Germany it’s Facebook that holds the top position when it comes to popularity and number of users. LinkedIn is becoming more and more important as a professional social media platform, yet it’s still its German competitor XING that is the market leader. In Russia you would want to use VK instead of Facebook and in China it would be Baidu Space instead of Facebook and Twitter, which are both banned. Translating your webpage is the first and necessary step for companies working with international clients and partners. But what comes next? Translating your LinkedIn page seems as the best option when deciding how to invest your resources. But prior to translating your content it is essential to research thoroughly your market to make sure that you are investing your resources in the right social media platform. When it comes to actually managing the campaigns, you need a translation partner who can assist you with translating responses and help you translate your responses. You can buy a block of time from us and we will translate short sentences on an ongoing basis for you. Having a profile in a second language might be a very effective business opportunity that could help you establish your brand presence abroad and make the difference you are looking for.